The German defense ministry considers Eurofighter Typhoon the leading candidate to replace its Tornado jets beginning in 2025. The ministry said on Wednesday that it prioritized the European-designed fighter plane over the US F-35 stealthy jet, which is preferred by the country’s air force chief Georg Muellner. According to Deputy Defense Minister Ralf Brauksiepe, the ministry will focus on buying the Eurofighter with the US-made F-35, F-15E and F/A-18E/F fighter jets considered as secondary options. 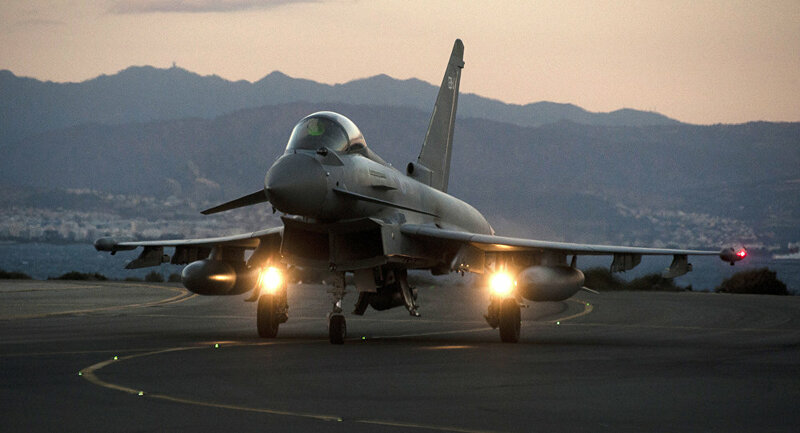 "A possible purchase of the Eurofighter would ensure the retention of military aircraft expertise in Germany and Europe, and value creation in our own country," Brauksiepe wrote in a letter to a Greens MP, Tobias Lindner. "The weapons system has already been introduced to the Bundeswehr (armed forces) and is being successfully used," he added. US officials have conducted a series of classified briefings on the F-35, F-15E and F/A-18E/F fighter jets to German military representatives as they prepare to join a multibillion tender to replace Germany’s ageing fleet of around 90 Tornado jets.